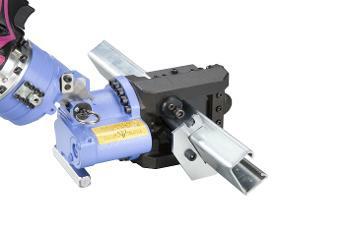 Stainelec now supply the Kamekura M-400 manual, M-40L electric & M-40LB cordless hydraulic strut cutters for the construction and electrical industry. These tools are designed to cut Uni-Strut & Flexi-Strut material with ease as well as custom Strut profiles per customers request. The M-400, M-40L & M-40LB cutter are both WH&S compliant, protecting the user from common dangers found in alternative cutting methods such as abrasive and saw cutting applications. When these cutters are in use they don't produce particle debris, deburring and mess after completing the cut. 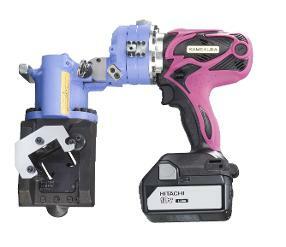 These tools are designed & precision manufactured in Japan to the highest of international standards. 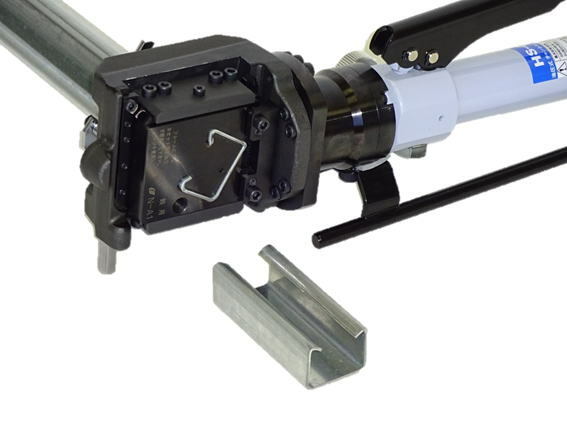 The M-400 manual metal strut cutters are OH&S compliant, protecting the user from common dangers found in alternative cutting methods such as abrasive and saw cutting applications. 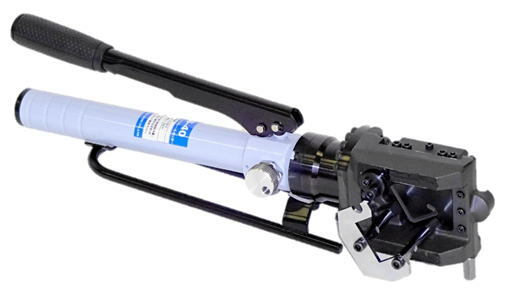 M-400 manual hydraulic strut cutters are suitable for use in electrical, air conditioning and plumbing industries as well as in plant and engineering, and various on-site applications. With no waste, mess or deburring. 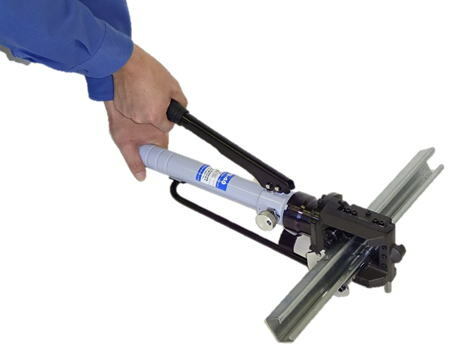 The M-400 offers high efficiency and safety in on-site requirements for cutting strut material. Dual cutting cassettes are available per customers request for multiple size material.